You are traveling along in Germany, and suddenly on the side of the railroad tracks, there is a cluster of fenced in tiny houses surrounded by small gardens. Are these actual homes? Are they campground for seasonal workers? 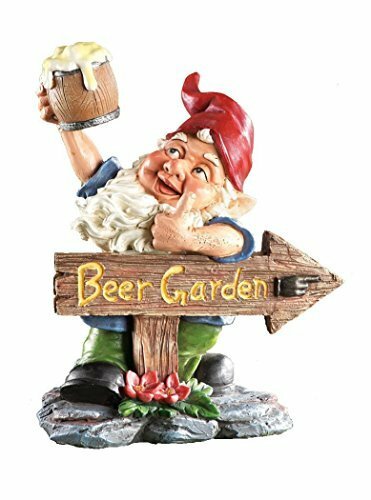 Is this where the Garden Gnomes live when they aren’t in your garden?? Actually, these little plots of land are called Schrebergarten or Kleingarten. 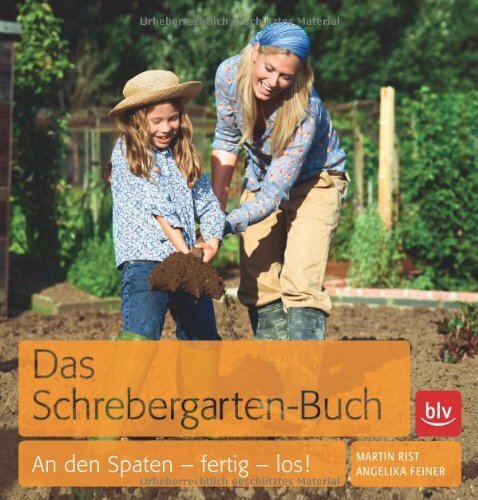 But… what is a Schrebergarten? And how did the idea for tiny gardens get started? Basically, a Schrebergarten is a little plot of land, usually at the edge of a city. Because so many Germans live in apartments without yards, the Schrebergarten gives them a chance to get out in the fresh air and plant a garden. There are around 1 1/2 MILLION of these little gardens in Germany (which is why they seem to be everywhere). How did the Schrebergarten Movement Start? Schrebergarten were the brainchild of Dr. Moritz Schreber, a Leibzig University Professor who specialized in Children’s Health. He worried that the children growing up in the cities would be stunted physically and emotionally if they couldn’t go out to play in the country. He insisted that playgrounds be built to insure that children would get the proper socialization. More about Moritz Schreber… You can skip this bit, because it’s more of a side track. While I think he was on the right track, I also thim Moritz Schreber had a warped sense of raising children. Frankly, the outdoor play was probably the ONLY good parenting idea that Schreber left with us. He wrote several “bestselling” books on child rearing that went through 40 reprints. Unfortunately for your great grandparents, the books promoted the idea of raising a child based on the concept of “unconditional obedience through harsh discipline” (and don’t get me started on “scaring babies to make them stop crying”)…. which meant that generations of children in Germany from the 1860s to the 1950s went without ANY loving contact with their parents. Cuddling or kissing their parents was entirely out of the question. (Honestly, this explains a lot). He also had some odd ideas about masturbation, and built machines to prevent this behavior…( I wonder if this explains why both of his sons had so many issues?) I guess we are lucky he also believed in Frische Luft and promoted the German “Fitness” movement of the 1800s. But enough about him… because this is where he leaves the story…. After his death in 1864, Leipzig school principal Ernst Innozenz Hauschild established the first Schrebergarten, as a playground for kids on the outskirts of Leibzig. To supplement the healthy air and exercise, vegetable gardens were planted. And, slowly (much like kid’s baseball became Little League) the adults took control of the green play spaces, and planted family gardens in the plots. Fences went in, and people made sure that their place was THEIRS alone. 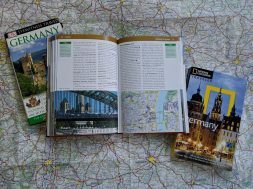 The Schreber movement, as it came to be called, spread across Germany … and then out to other countries in Europe. Pieces of land on the edge of cities were zoned for Schrebergartens, and leased to families who could use them, and keep them in the family (at least, until they stopped paying). By the time World War 1 rolled around, most of these Schrebergarten had already converted to family garden plots. For many people, these gardens were all that stood in the way of starvation. Then in 1919 the first rules and regulations were established to control the gardens and keep things orderly. By World War 2 a Schrebergarten was a necessity for many city families who would not have found food otherwise. 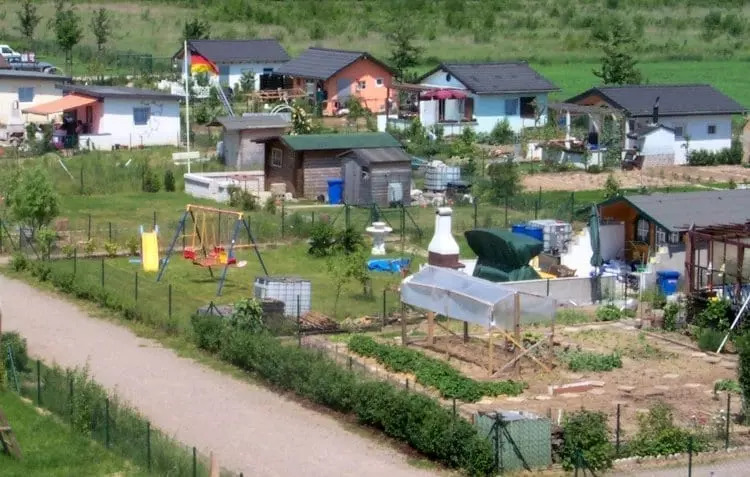 In the 80s and beyond, Schrebergarten were thought to be the center of “Kitch” in Germany… a place where lawn gnomes multiplied beyond all reason. Where your Opa would sit in his shorts, sandals and black socks watching the world go by while Oma puttered with her flowers. Today, many people see Schrebergarten as quaint and a bit old fashioned. Why would you want to be tied to a plot of land in this time of plenty? Who has time for that? And yes, they can be a lot of work for a modern person with a job and kids who need to get to Fußball training…. Luckily, the Hipsters are trying to bring Schrebergartens back popularity. But they are running into a few issues. Unlike the original concept of individual family Garden for enjoying Fresh Air and doing whatever you want, today’s Schrebergarten have developed a reputation for being a miniature example of German hyper-Ordnung! These HIGHLY REGULATED gardens are not owned, they are leased. And when I say highly regulated, I might be understating. The list of rules and regulations pertaining to a Schrebergarten is a mile long. The Bundeskleingartengesetz (BKleingG) (Germany Small Garden Act) covers everything from the legal size of the garden (no more than 400 sq meters), to the legal size of the Schuppen (cottage) 24 sq meters (and you MAY NOT live in it), to what happens when the lessee dies (and, don’t ask, you can’t either be buried there or have your ashes scattered on the plot) (BTW, that’s not really part of this Gesetz, rather the one about burial). And the bits that aren’t covered by the BKleinG, are generally regulated by the busy-bodies in the local Garden Oversight committee. They are responsible for the rules about how high and thick your hedge may be, how often you may grill, and whether or not you may have a swing set. (For example… many communities will allow you to have Chickens, but only a percentage of the Schrebergartens may have them at any given time. So when those 8 slots are filled, you, and your hens, are out of luck). On the other hand… they do look nice. And like in a community with Home Owner Committee… things are kept neat, safe and orderly… (oh gosh, that’s my German showing…). 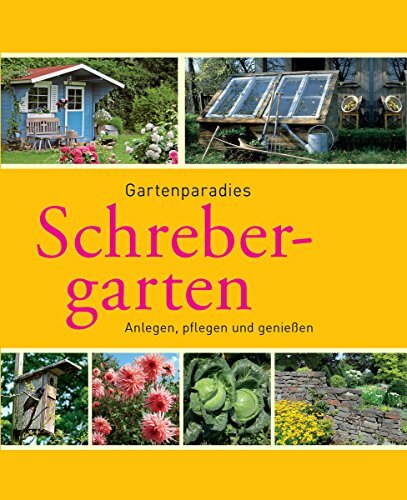 For people who live in the city, and want to get their hands in the soil… or sit on their own (albeit SMALL) plot of lawn… the Schrebergarten is the perfect solution. 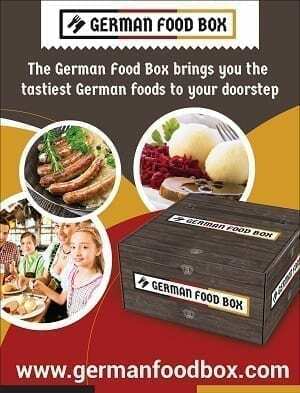 previous Berlin Food Tours- One City, a World of Tasty Food!! I know you can’t live in the Schuppen, but can you stay overnight or over a weekend? It depends on the association that your Kleingarten belongs to. Everything I read says that an occasional overnight is not a problem.. but living there is out of the question.